Lying is one way to undermine your opponents - but only if you can get away with it. A document from the Cabinet Office on Thursday claimed a ‘People’s Vote’ would take 52 weeks from start to finish: a crushing blow for those hoping for another referendum if it’s true. It’s just that it’s not. As the New Stateman‘s Stephen Bush noted, the 2015 referendum act recieved Royal Assent on 17 December 2015, for a referendum held on 23 June 2016. “Did government get worse at holding referendums in the intervening time?” he asked. 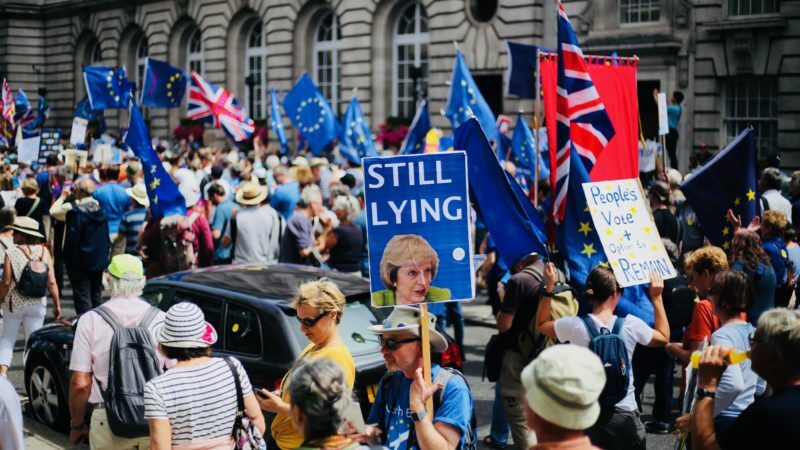 The government’s latest line – leaked to the POLITICO website on Thursday – that a second Brexit vote would take nearly a year to organise – has sparked widespread derision. And not just from the usual suspects. The Lib Dems’ Vince Cable described it as ‘completely wrong’, while Best for Britain Chief Executive Eloise Todd says the Tories were ‘trying to pull the wool over people’s eyes’. But it was arguments from other quarters that are most interesting. “If Parliament wishes to have a referendum and the Government is prepared to facilitate it, it could be carried out swiftly and within a limited time extension of Article 50. “It is extraordinary for the Government to make these claims when their Brexit deal – which has been comprehensively rejected by Parliament – offers no certainty over our future relationship with Europe and would simply result in years of back-and-forth, arguments and negotiations. But what do the experts say? Academics at the UCL Constitution Unit calculate that a referendum could happen in around 22 weeks. In a detailed report, ‘Mechanics of a Further Referendum on Brexit’, published in October last year, they note that, assuming there was a majority in Parliament for a referendum, we would need eleven weeks to pass legislation, including eight weeks for question testing, and eleven weeks between legislation and polling day. That would include one week for preparation, four weeks for campaign groups to organise, two weeks for ‘lead’ campaign groups to be designated, and four weeks for the final campaign. The last three of these timings are set out in the Political Parties, Elections and Referendums Act 2000. There’s a reasonable debate to be had over a) whether that’s possible and b) If 22 weeks would be enough time for a full, vibrant and proper debate. But the government’s latest line is just misleading. Try harder, May.